To The Business At The Beach Network! View All Companies & Professional Individuals That Have Been Added With Us So Far! We Cover Businesses and Professionals Located In Myrtle Beach and The Entire Grand Strand Area! 1. A Full-Page Profile (See Example) Added To BusinessAtTheBeach.com! It's a Lifetime Profile! Added & Shown Forever! 2. 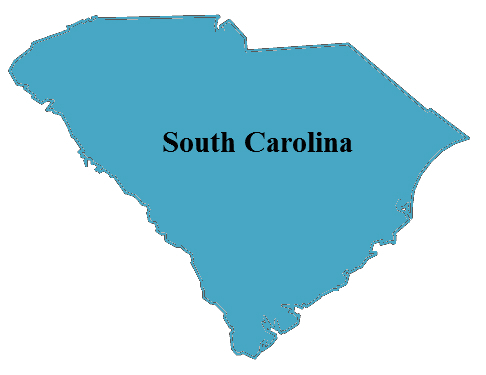 A Lifetime Listing (with a link to your profile) In A Category (Or Multiple Categories) That Is Related To Your Business In Our South Carolina Directory on BusinessAtTheBeach.com - Newly Added Listings Get Added To The Top Of The List In The Category(s)! 3. A Lifetime Listing (with a link to your profile) On Our Company Profiles Page on BusinessAtTheBeach.com - Newly Added Listings Get Added To The Top Of The List! 5. A FREE Lifetime Listing (with a link to your profile) On Any Of Our 'At The Beach' Websites (or partner sites) That Are Related To Your Business! In some cases, listings might be added on more than one site! SALONS - will also be added/listed to SalonsAtTheBeach.com! - hair, nail, tanning, massage, day spas, & more! NOTE: Since we figured those that might be interested in "Venues" would also be interested in Hair, Nail, etc, we have placed a SalonsAtTheBeach.com direct website link on VenuesAtTheBeach.com! Extra exposure! CHURCHES - will also be added/listed to ChurchesAtTheBeach.com! - includes all places of worship! Promo Code - For proper tracking of your submission, if you were given a code, please enter it here. All submissions will be reviewed for context and accuracy before indexing. We reserve the right to refuse any listing for indexing and can remove any current listing for bad, abused, non-working or corrupted links and has no obligation to notify the person or the company that submitted the listing. There will be no guarantees of contacts from your listing and there will be no refunds once a submission has been paid for and/or indexed. Submissions will be indexed after payment has been received. By clicking on the Submit button you agree that you are authorized to submit the listing, that the listing is correct, that you are authorized to pay for the listing, and understand the above. Once your submission and payment has been received and approved, your listing will be indexed within 3 business days. Please Note: Company must be located in the Grand Strand Area (Coastal SC/NC). After you click 'Submit Form', you will be re-directed to a payment page where you will need to pay for your lifetime listing immediately using your credit card, debit card, or bank draft thru our secure processor or you may login to an active PayPal account. For the ultimate in your security, we will never see your credit card numbers or your bank information! After your completed payment you will be given information on where to mail the gift cards / certificates.